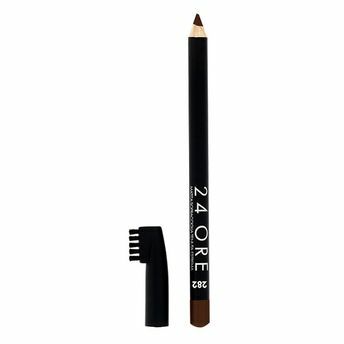 The pencil defines, emphasises and fills in eye brow colour for fuller looking brows. The special brush sculpts and shapes brows precisely and effortlessly. Well groomed neat and naturally beautiful eyebrows. For precise brow definition and all-day color. With special mini brow-brush. Dermatologist tested. Explore the entire range of Eye Brow Enhancers available on Nykaa. Shop more Deborah products here.You can browse through the complete world of Deborah Eye Brow Enhancers .Alternatively, you can also find many more products from the Deborah 24 Ore Eyebrow Pencil range.